This is the Kobayashi Maru... nineteen periods out of Altair Six. We have struck a gravitic mine and have lost all power...our hull is penetrated and we have sustained many casualties. Prepare to face the most infamous Starfleet challenge! The Kobayashi Maru, the “original no-win scenario,” returns to Star Trek Online as a limited-time test of character. How long can you hold out against ambushing enemy ships? Can you keep cool under pressure as you place yourself between the Kobayashi Maru and death? What would Spock do? The Kobayashi Maru event will come in two forms: timed and untimed. In each case, you fight to keep the freighter intact while destroying successive rounds of enemies who will become more and more dangerous as the simulation continues. The longer you last, the greater your rewards! Once everyone on your team is defeated at the same time – or when the timer runs out, if you’re playing the timed version – the mission ends. The mission also ends if the Kobayashi Maru is destroyed. Participating in the Kobayashi Maru Event each day will earn you a Weekend Event Voucher and your choice of marks. After collecting at least 3 vouchers, players can purchase a new ship weapon, the Prolonged Engagement Photon Torpedo! Completing the Prolonged Engagement set, it captures excess energy to run the torpedo auto-loaders beyond recommended levels. The torpedo starts out firing more slowly than traditional Photon Torpedoes, but fires more rapidly as combat progresses. Further, each shot carries chance to overflow excess power into the ship’s other weapons, providing Armor Penetration for a short duration. The true strength of the torpedo is revealed when all three Prolonged Engagement items are combined—activating the Dynamo then causes the next Prolonged Engagement Photon Torpedo to receive bonus damage based on the length of the combat with no upper limit whatsoever. The excess energy cannot be safely contained, however, so spending more than a moment or two outside of combat will cause the charge to dissipate. To get to the Weekend Event Store, simply open the context menu for a Weekend Event Voucher and “use” it to open the store, much the same way that Lobi functions. From there you can spend your Weekend Event vouchers on any item of your choice. 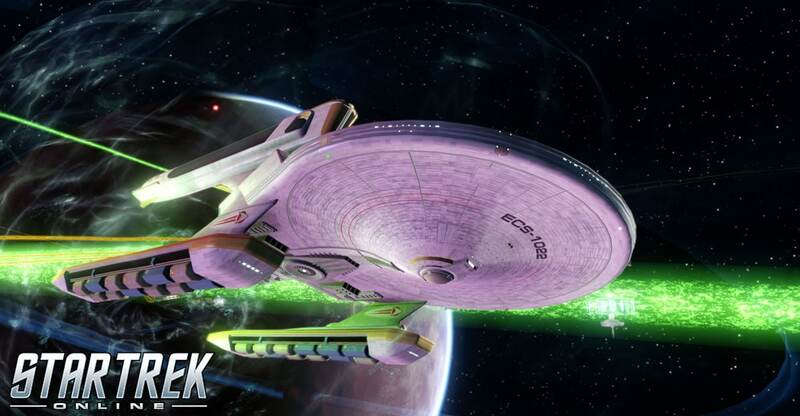 The Kobayashi Maru event will run on Xbox One and Playstation 4 starting on March 28th through April 1st. The queue is available to all captains of level 50+.